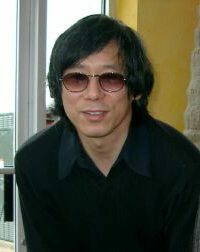 Koji Arizumi (有住幸二) grew up in Tokyo, Japan. He went to Waseda University and majored in physics. While in college, he started playing the flute and went on to get a master’s degree (MA) and doctoral degree (DMA) in music. Dr. Arizumi has been teaching Japanese on satellite TV/video as well as in the classroom for almost 20 years while researching the educational use of technology. He also teaches modern Japanese literature and film, as well the upper levels of Japanese language. As director of the Critical Languages Center, Dr. Arizumi oversees the administration of 15 different languages.